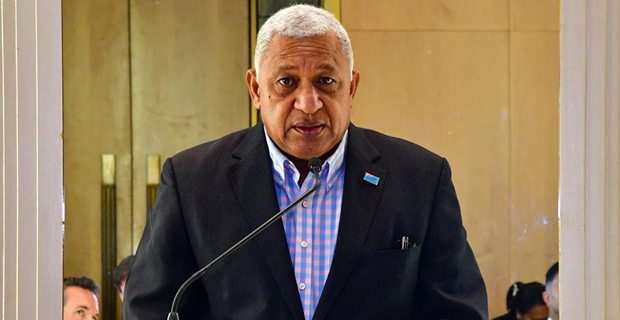 Prime Minister Voreqe Bainimarama says him winning the Sustainable Development Leadership Award is more than a win for himself or Fiji but a win for small and developing states. While accepting this years Award by The Energy and Resources Institute in India Bainimarama says the size of a country does not matter when it comes to impacting the world, rather it is the volume of the message. Bainimarama could not be in Delhi to receive the award as Fiji has parliament sitting from today and sent a video message. He thanked the institute and its director-general Ajay Mathur for the great honour . Bainimarama also thanked th government of India saying that India has stood with Fiji from the begining as a financial backers of COP23 Presidency and their assistance in other areas of Fiji’s development has helped Fiji into the position of strength and prosperity that we have today.